Viking, December 2009 Science fiction abhors a Utopia the way nature abhors a vacuum. When the two meet, something has to be done to undo one of them. It’s one of those rules that shows up over and over again, in both print and visual scifi. Shades of Grey proves the rule. 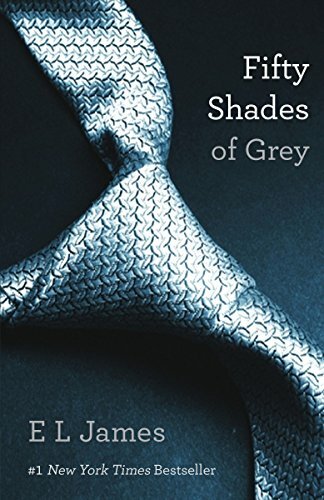 Complex and detailed, set somewhere around seven hundred years after The Something That Happened (which is never really clarified though the shape of it is eventually hinted at) Shades of Grey tells the tale of what remains of the world, which is organized into a Colortocracy. Everyone is assigned a color in their twentieth year after they’ve undergone a test to see what colors they can see—because there’s no one left who can see all the colors of the natural spectrum equally. Full color is achieved through the expensive use of glaringly bright synthetic color that, somehow, everyone can see, and the synthetic color comes from mining the remains of the Previous to gather “scrap color” and recycle it. A town’s wealth is earned through its collection and sorting of scrap color. People of similar colors have formed enclaves where they seek to improve the purity of their shade by arranging marriages between those who can help their children achieve more of whichever color they have, and each color is known for certain traits: Greys, who see less than 50% of any color forming the basis of the work force at the bottom of the spectrum, and each color above that being better than the one before, with Purples being at the top and unimpeachable. The book is part satire on politics, part post-post-Apocalypse, and part Utopian / Antiutopian discussion: Society is governed by a massively long series of Rules which give everyone strict confines in which to live, carefully removing more and more distractions in the name of maintaining the Stasis that allows the society to thrive. The people grow up knowing they shouldn’t question the rules, even weird ones like the one forbidding the creation of new spoons, and eventually, everyone does exactly as they’re told. Innovation is considered taboo. Enter Eddie Russett, who’s sent out to a town on the edge of civilization with his father because he’s in need of humility. His father is filling in for a dead Swatchman—a sort of color-wielding doctor— in a down called East Carmine. Out here, far from the center of their world, they find that people are rougher and the Rules are more flexible, which, of course, causes trouble, but most of it is caused by a single incident witnessed in Vermilion on the way in: Eddie and his father witness a man, who is buying paint, drop dead of the Mildew—a virulent plague they all fear that hasn’t been seen in that region in years. All of his father’s skills can’t help the man because he’s faked his color, wearing the unquestionable spot of a Purple to cover up his identity—something unthinkable in a world where no one is supposed to question his or her place. Eddie’s curiosity leads him to harsh truths about his civilization that prove that no Utopia is as real or as perfect as it seems, and he becomes a linchpin in the struggle to prove it. The book is as vibrant as the synthetic shades it constantly describes, and is frequently just plain weird. The backdrop of the story is full of leftover technology they can’t explain or understand in their current framework, the constant threat of lightning strikes and attacks by giant swans, the strangeness of unquestioning obedience to a system we have to figure out as we go, and the ever-thickening plot that undermines everything the first half of the story defines. It’s clever, fast-paced, intricate, and compelling, and manages to make the transition from a sort of light bildungsroman meant to get Eddie to fit better into his culture, to a dark and somewhat horrifying glimpse behind the scenes at what’s presented through most of the novel as a perfect society; and it makes that transition seamlessly. The point when Eddie realizes what’s actually going on in the world is as terrible for us as it is for him. And in the last third of the book everything he knows falls to pieces, breaking him down. My only complaint is that there should be more of the after-realization: That moment that changes the whole course of the story and how Eddie can function inside of it. This moment casts the whole previous story into a new light, and changes the expected ending into a sacrifice instead of the happily-ever-after that it seemed that it was heading toward . . . and then it’s just over, the sacrifice made, the characters changed, and the world going off into a different path. It would have been nice to see more of that path. If Jasper Fforde was trying to leave us wanting more, as they say every writer should, he accomplished it perfectly. The book is a treasure, something to devour and to savor, and it’s more than worth the time to do so. Reviewer Samantha Holloway is a freelance writer and editor, and is working on her first novel. Her most recent short story is in Fiction International’s FREAK issue and an upcoming anthology, and her academic work has appeared in The Essential Science Fiction Television Reader, and at various conferences.